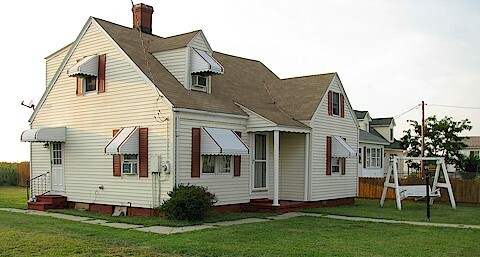 This beautiful two-story Tangier Island home has been recently renovated. We are smoke-free and pet-free. Deposit: 1/2 due upon making reservations with remainder due a week before arrival. We accept checks and money orders. Non-refundable except due to Nature or death in immediate family. It is your home away from home! 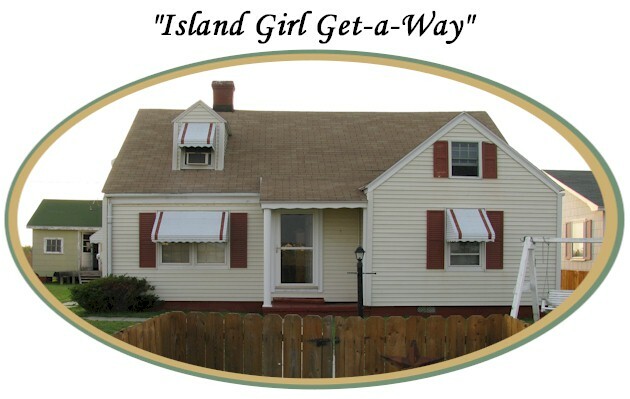 Our getaway is located on Tangier Islands West Ridge Road on the western side of the island near its beach. It provides a home-away-from-home while you explore the island's unique lifestyle. The island has beaches, restaurants, gift shops, and a local museum. One may fish or crab from its docks, and rent bikes or golf carts for transportation around the island. Additional $25. for each up to seven persons. Weekly Rentals: $1000. up to seven persons. 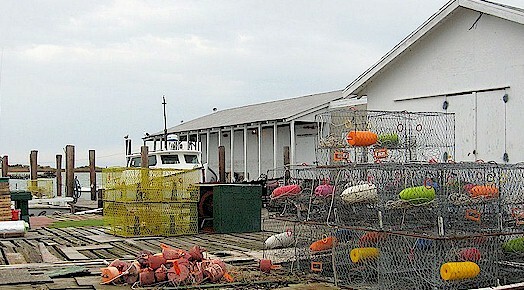 Enjoy Tangier Island's unique and picturesque lifestyle. The natural resources of the island surround you. Doug & Patsy's Place is clean and spotless. It is comfortable for anyone wishing to get-a-way for a family outing or a romantic get-a-way. You have all the amenities of home; yet, you are surrounded by the Chesapeake Bay and a unique lifestyle of its own. Its people are warm and friendly and welcome you to days gone by; where peace and harmony are a part of every day life. All those who visit regardless of age, leave with precious memories and the reality of a true adventure. 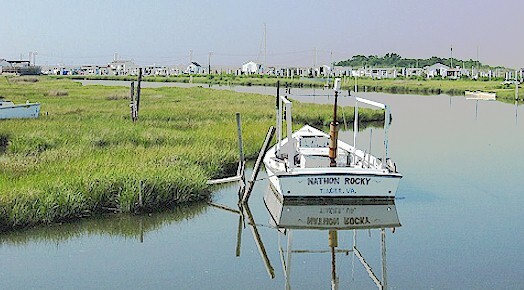 Patsy was born and raised on Tangier Island. She, like most Tangier Island women, became a very good cook. Patsy is a seven time winner of the Eastern Shore News Cooking Contest. To prove this, Patsy teamed with her teaching friend, Shirley Parks Taylor, to write these two cookbooks. 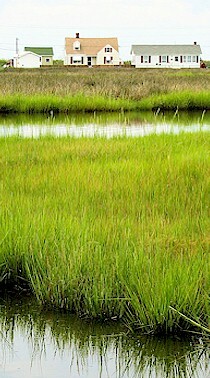 They pass along to you original Tangier Island and Eastern Shore favorite recipes. 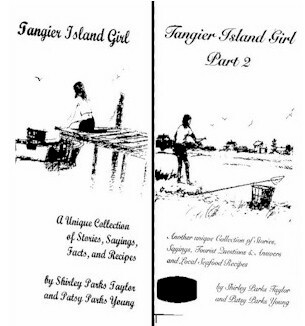 The cookbooks are also filled with anecdotes of Patsy’s island girl childhood, Tangier Island facts, and expressions. The cost of each cookbook is $17.50 including shipping.